You're currently viewing posts by Pinsider fattrain. As most of you have probably heard by now, there is new company stepping up to try and help sort out the problematic Zidware debaccle. Long story very short, Zidware / John Popadiuk has been in the process of developing several custom games and taking deposits for years. He is now behind schedule ("years" behind) and has taken a substantial amount of money in down payments from owners. With the project stalling and many people believing most (if not all) of the money is gone, something had to change. The new company is called Pintasia and they are stepping in to assess the financials and overall game progress of the long overdue games, Magic Girl (MG), Retro Atomic Zombie Adventureland (RAZA), & Alice In Wonderland (AIW). They plan to license the assets and get the games built (starting with MG) all while attempting to make things "right" with the current pre-order "owners" who are currently in a really bad position (no money / no game / no progress). Since the JPop update thread is very active it becomes difficult to sift through relevant information. This thread will be continually updated as things progress. It is with great excitement, determination and love for pinball that has led me to pursue and find a possible solution that can be announced to you today. I want to take this opportunity to thank each and every one of you who believed in the magical designs that have been created. 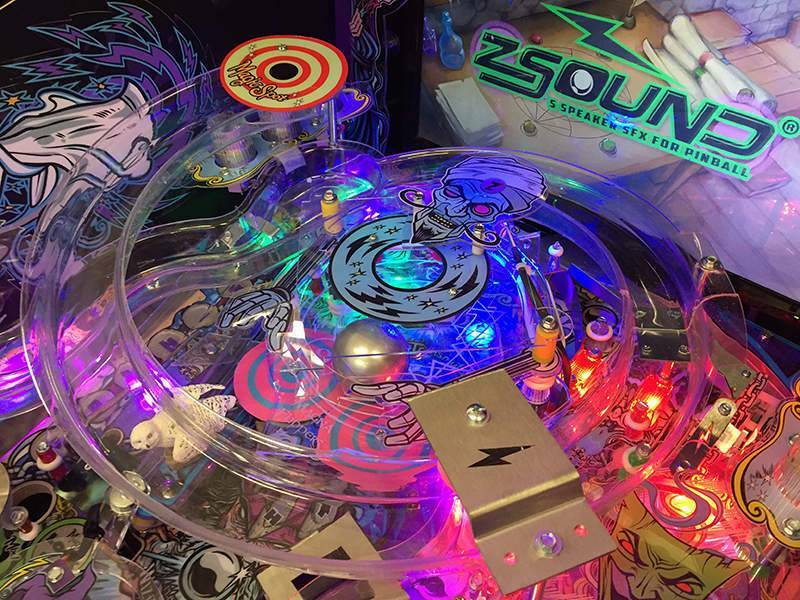 I acknowledge and appreciate the faith you have in placing deposits with Zidware, Inc. (“Zidware”) to deliver to you incredible machines that take pinball to another level. Thank you for your patience and support …this well-deserved update will give you a good idea of where we have been and where we are headed in the future. First and foremost, my apologies for not being a better businessman. In the past, great success was accomplished by focusing on what I do best… design and artistic direction of games. The business mechanics were left to the executives at companies such as Williams and Bally. I did not realize what it entails to run a company and get a machine designed and produced from start to finish. At the rate that I have been going, bankruptcy would be inevitable absent some type of corrective action. Zidware no longer has the ability to get Magic Girl™ (“MG”) into production let alone Retro Atomic Zombie Adventureland™ (“RAZA”) and Alice in Wonderland The Pinball™ (“AIW”). A copy of current financials will be available evidencing the impossible predicament Zidware currently faces. Further, the delivery of machines to my customers who have placed orders and provided deposits has always been my primary concern and a responsibility that I take very seriously. Therefore, I have sought out a solution to bring these games into production and to benefit all purchasers who have continued to believe in me. Apologies for the lack of communication, however it was best to find a workable solution first, rather than to string everyone along on false hopes. At this point I have a plan in place and therefore am taking this opportunity to share it with you. My hope is that with this solid plan, you, as a purchaser, will be supportive of this endeavor and remain patient and work with this plan to achieve the desired goal of producing MG, RAZA and AIW machines. What is the plan and how will it help the purchasers of Zidware products? In a call for help, one of my customers, a businessman specializing in the restructuring of companies, realized that there was no way Zidware could get this project over the finish line and into production. He was saddened by the fact that many would suffer a loss and it would be a black eye for the pinball industry and my reputation. Over the last month or so, this individual and his associates have done extensive due diligence on Zidware to determine the best plan of action. 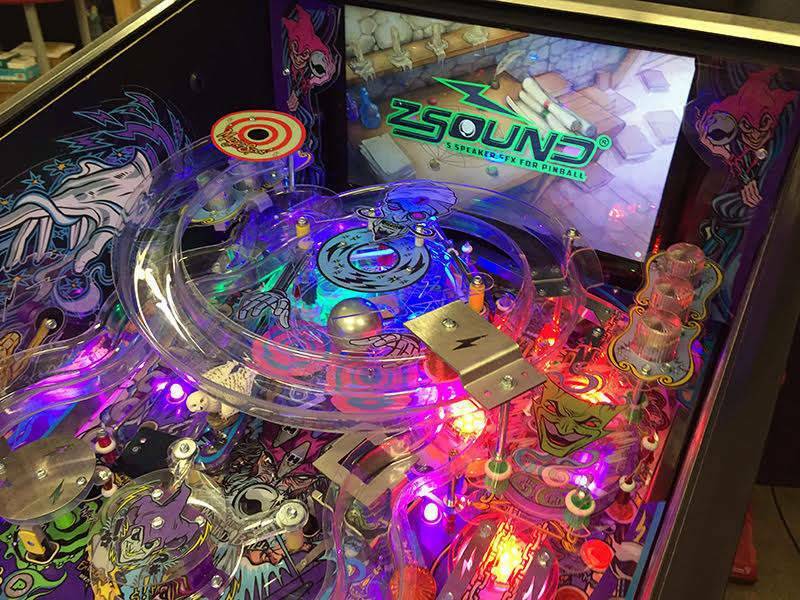 They have assembled a team of professionals capable in bringing pinball machines to production under a new, unrelated company. I have granted this new company (“Licensee”) an exclusive license for MG, RAZA and AIW. They will then be able to take MG from its current state to the point of production, along with potential orders for RAZA and AIW. 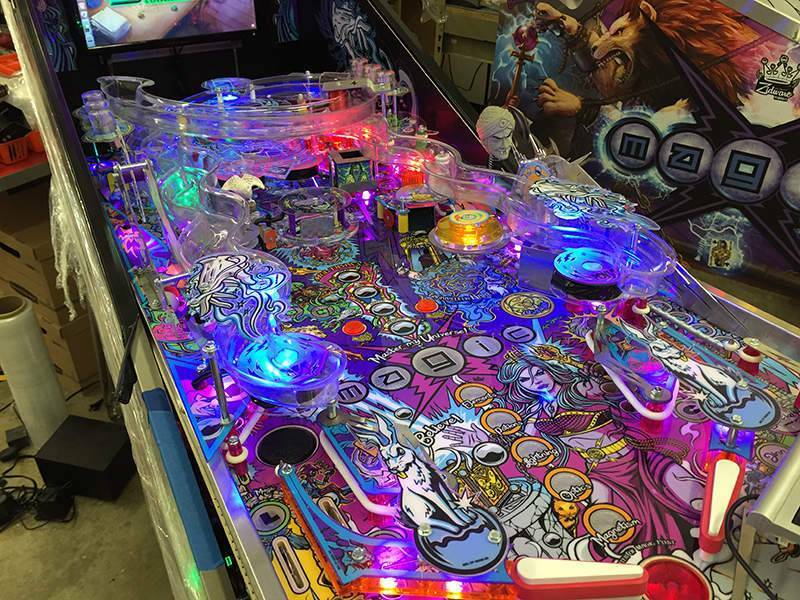 Once these machines are produced, the Licensee plans to continue and grow to become an industry leader in creative unique pinball design. The Licensee is now underway to complete a master prototype Magic Girl™. An announcement will be made as to when this will be, however the goal is to have it ready in time to unveil at an upcoming show. From this point forward, information and progress will be provided by the Licensee as Zidware is no longer in control. This group is currently in the process of negotiating with proven known quality manufacturers to get the games produced. As soon as this is contracted, purchasers will be notified and given a forecast of the timeline to complete development as well as release dates for final product. As it stands today, the anticipated timeframe until production of MG is approximately 2 years or sooner. As for the other 2 games, art work will be under the Licensee’s direction and prototypes will be forthcoming. I have agreed to independently consult with the Licensee for continuity to complete the pinball designs for all 3 games. The timeframe until production of RAZA and AIW product is 2 to 3 years post MG production. I encourage fellow Pinheads to allow this team to help make these games come to life. The Licensee has already made significant investment in both time and money to get where we are today. They have acquired the licenses for these games not motivated by profit, but to make the designs a reality and forge a viable path for production of these products to Zidware customers. The only other alternative is that Zidware would be forced to file for bankruptcy, resulting in virtually nothing to the purchasers and none of the games that we have worked on all these years will ever be produced. Info <magicgirl.raza.aiw@gmail.com>. The Licensee has already indicated that they will be opening the doors to share the progress with customers and welcoming everyone with open arms! To be clear, there will not be any refunds as Zidware lacks the cash reserves necessary to return any customer deposits. The Licensee is here to create and build pinball machines and it is not responsible for Zidware’s liabilities. Nonetheless, working together, the Licensee will have the ability to produce machines and Zidware customers will be provided credits for deposits made. 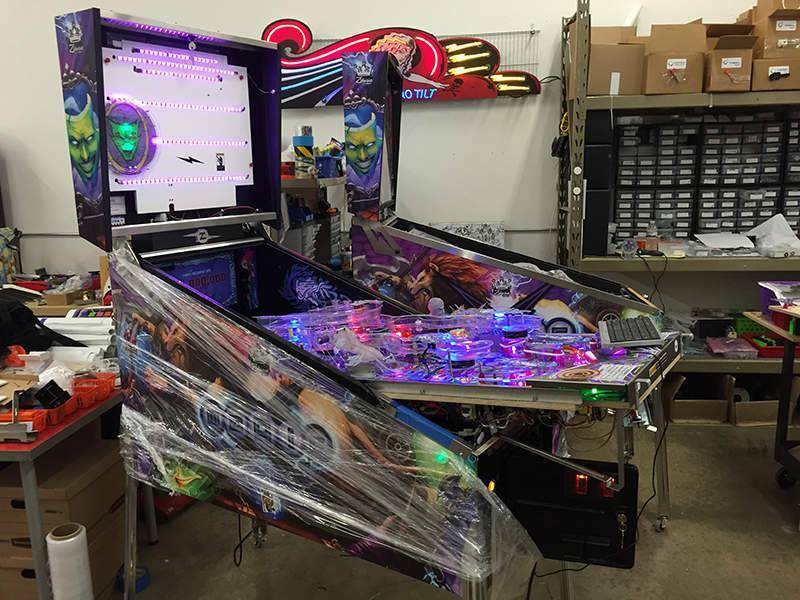 We are very lucky that the Licensee started down this path to help the pinball community by trying to rectify this situation. 1) Confirmation of your intent to complete the purchase of the ordered item(s) by executing and returning the attached agreement so that the Licensee does not expend resources for customers who may not wish to complete their order. a. Magic Girl™ – original purchasers. The Licensee is already in talks with potential manufacturers to create a Magic Girl™–Collector’s Edition, limited to only 199 worldwide for those who have already purchased or provided deposits. This is first come first serve as we will close off as soon as we reach 199 orders. Zidware deposits will be converted to credits dollar for dollar. i. Magic Girl™–Collector’s Edition ($15,995) – Limited to only 199 worldwide, this is first come first serve as we will close off as soon as we reach 199 orders. Zidware deposits will be converted dollar for dollar, 1 (eg. $6,500 deposit = $6,500 credits). ii. Magic Girl™-Classic (TBD estimated at between $9,995 to $11,995) – We are offering a new edition of Magic Girl™ with all of the same functionality and quality, since the final product is yet to be finalized and we don’t have actual BOM, we can only provide the price range. Any customers interested in this option will have opportunity to confirm their purchase at time of release of actual price. Zidware deposits will be converted 1:2 (eg. $6,500 deposit = $3,250 credits) for this option. Once you take delivery of your machine, you have an asset in hand and the ability to keep it or sell it for cash. You will also have the ability to sell your position. Should you wish to wait for the possible creation of a RAZA or AIW, that option is also available. no cash to Zidware customers. This plan is for you, the Pinheads that want something that is a true work of art, quality built that can be treasured for years to come. I have now found the right business team that is dedicated to try to get my work to the finish line and into production. Help me to help you get what you came to Zidware for…a pinball machine that you will be very proud of to have in your collection! Pintasia Design Inc. is the Licensee to MG, RAZA and AIW. We want to share with you who we are and why we are here. We are in the same boat as you. We have interests in both RAZA and MG. By investing our own resources of time, money and efforts, Pintasia on a best efforts basis will do everything that they possibly can to help get back what we all lost to Zidware. To be clear, Pintasia is a third party, and is not a part of Zidware the company or their liabilities. · Consultant* (Game Design) - John Popadiuk, Zidware Inc.
* John Popadiuk is strictly a Consultant, he has no interest in Pintasia and does not make any business decisions. His role is strictly defined as artistic design for the completion of the 3 machines in progress. We are not asking for money now, and we hope to delay additional payments until production is confirmed. This will largely depend on the manufacturing agreement we enter into. We will release the information upon successful execution. The Collector's Edition was set at 199, not to encourage an upsell but to allow the opportunity for all Zidware customers to get in on the limited run which will feature special elements. We stress, it is not necessary to have 199 MG-Collector’s Edition ordered to commence production, nor are we forcing anyone to convert from their current title. The reason we created the Magic Girl Classic is to get possible new sales quicker on a machine that is nearly complete, these potential profits in turn will allow us now to confirm 1 credit for RAZA and AIW purchasers. Our next communication will be strictly answering questions arising from this correspondence. This endeavor was strictly born out of the desire to get the money we all lost to Zidware. We have spoken to many of you personally in the last few days, the positive responses and encouraging words have been absolutely amazing. We want to thank everyone who has lent a hand to help out. For those who we haven’t talked to yet, we invite you to call at your earliest convenience. 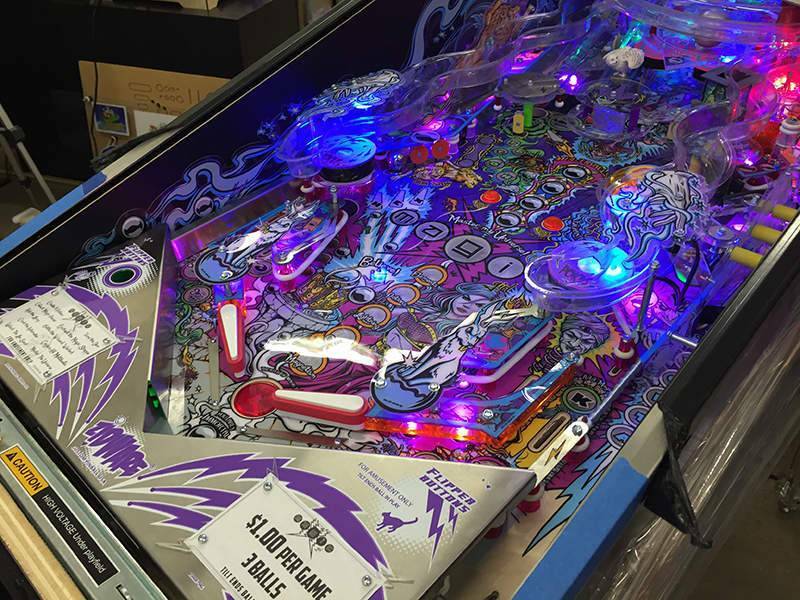 With the help of many devoted pinball fans/owners/investors, Magic Girl Prototype #1 is officially in-route and will be displayed for the FIRST TIME IN PUBLIC at the 2015 Northwest Pinball Show. Coverage to follow. Various Pics of the Magic Girl prototype before / during transport to the above mentioned Northwest Show. First and foremost, I would like to express my deep gratitude to everyone who dedicated their time and effort to help bring Magic Girl to light. Without everyone's effort this would not have been possible. I would also like to personally thank everyone who believed and supported me in this endeavor. 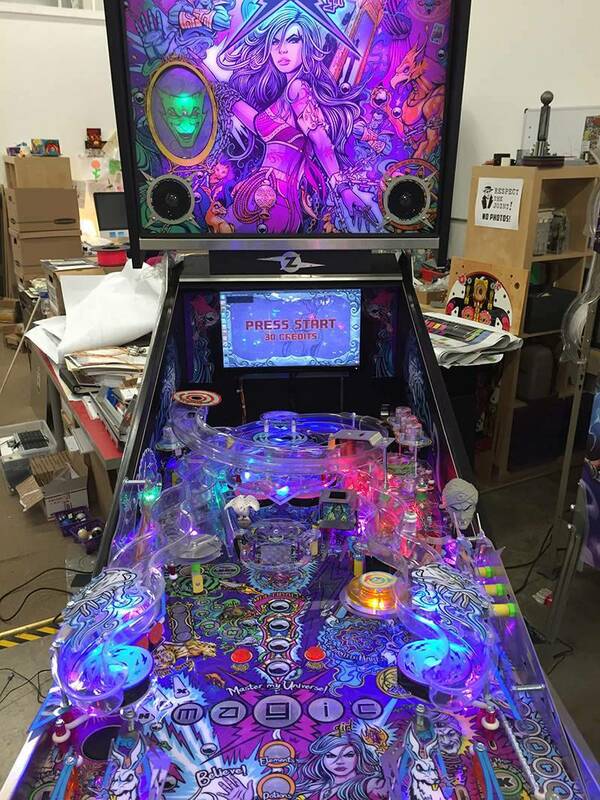 After working and speaking with a lot of you, who know pinball development inside and out, and finally getting an opportunity to see how far along Magic Girl really is, I have decided that it is not worth my effort or finances to move this to completion. Despite the fact that I'm not going to continue with MG, I do not regret the investment I have made as I hold the friendships cultivated at a much higher value. Thanks again for all your support and patience.